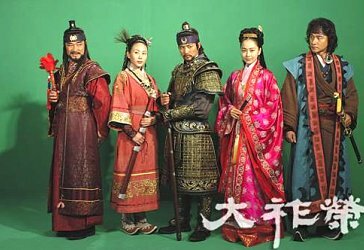 Scheda: Nazione: Corea del Sud - Produzione: KBS 1TV - Distribuzione: KBS 1TV - Soggetto: Young Chul Jang - Sceneggiatura: Young Chul Jang - Formato: Color, serie tv in 135 episodi - Durata: 55' ogni episodio. 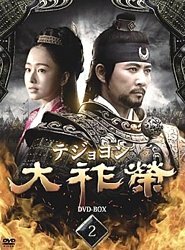 Cast: Hong-Jin Ahn, Sang-hoon Choi, Jung Jae Gon, Yoon Yong Hyun, Yong-woo Kil, Jung Hyun Kim, Kyu-chul Kim, Hyeok Lim, Sung-jin Nam, Ji-il Park, Su-jong Choi, Cheol-ho Choi, Hak-cheol Kim, Ho Lim. Plot Summary, Synopsis, Review: IMDb - en.wikipedia.org - hancinema.net - tvguide.com - asianwiki.com - mydramalist.com - dramafever.com - filmweb.pl - revolvy.com: «Dae Joyeong is a historical korean drama ... about the life of Dae Jo-yeong, the founder of the kingdom of Balhae. 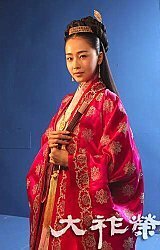 The drama begins during a war between Tang and Goguryeo before Dae Jo-yeong is born. 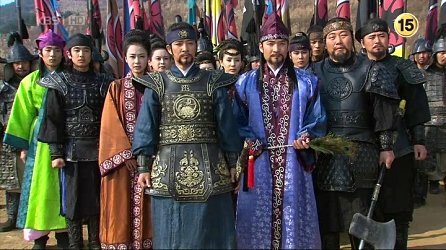 Dae Jung-sang, Dae Jo-yeong's father is introduced as a general. 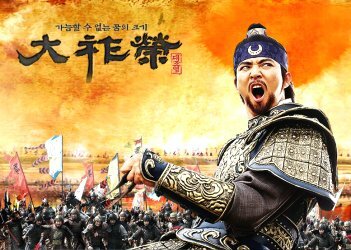 We are also introduced to Xue Rengui (Seol Ingui in Korean), a man with a brilliant mind who comes up with a plan to bring down Liaodong Fortress. 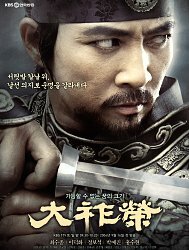 After a failed attempt to assassinate the Tang emperor Li Shimin, Jungsang is captured by Tang. Seol, enraged for not receiving credit for his actions, frees him. Dae leaves Seol to himself, and heads to Ansi Fortress. The emperor, meanwhile, begins plans for making a mountain of earth in order to deliberately destroy the fortress. 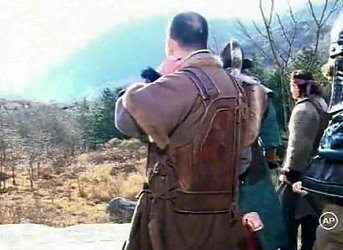 Dae Jo-yeong's mother, Dalgi, comes up with the plan to dig under the mountain as it is being built. She is already pregnant with Dae Jo-yeong. Meanwhile, Seol rescues some Tang soldiers about to be killed. He catches the emperor's eye and is promoted to the rank of general. As the battle begins, Tang's million men come onto the mountain. The order is given and water is released through the tunnel underneath the mountain, causing it to collapse and it crushes hundreds of thousands of Tang soldiers. Dae Jo-yeong was born during this time. ...».